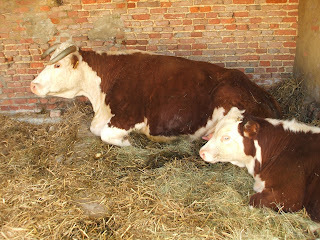 My local farm SILCOCKS had its open day yesterday. The stars of the show were of course the animals, and these tiny piglets grabbed everyone's hearts. They're four days old! Only one was brave enough to venture out of the trailer - and then he discovered that the ramp was too big a leap to get home. 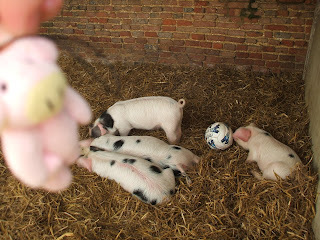 The older piglets were busy playing football or sleeping...now what does that remind me of? 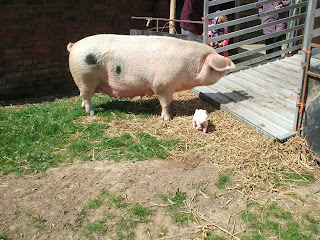 The little stuffed pig in this picture is a geocache travel bug whose mission is to visit farms. Now her task is done, we can move her on to another geocache. ahhhh, look at how tiny those little guys are! Too cute! 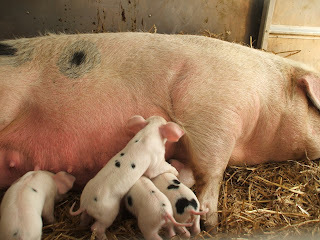 The piglets are so cute! 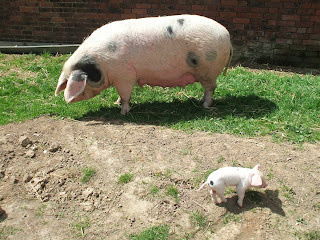 I always forget how huge the adult pigs are.